Fikri Jermadi put his thinking hat on, crunched some numbers, and analysed the cold facts and figures of Malaysian films in 2015. Charles Dickens once wrote, “It was the best of times, it was the worst of times.” At first glance, there might not be much of a link between a story set during the French Revolution and Malaysian films in the past 12 months. However, the abridged quote above perfectly sums up much of the situation. The National Film Development Corporation (FINAS) recently released details of the 2015 box office performance of Malaysian films. This may not necessarily be the final update (at the time of writing, five films have yet to complete their screening runs), but I do not expect enough changes to render this analysis irrelevant. As ever, some caveats are attached to official figures. There is always some dispute as to the veracity of the information provided. At the same time, they do not take into consideration the performance of foreign films in Malaysia, which traditionally takes a lion’s share of the box office here at home. Furthermore, these numbers do not give a complete picture; the quality of a story and the actors’ performances are difficult to quantify as such. Therefore, this analysis will be largely based on the data provided. According to FINAS, 79 films were released in the cinemas last year, a slight reduction from the 81 films of 2014. All these films garnered a box office total of RM51.7 million. While that is never a figure to sniff at, a sobering truth emerge once you dig a little deeper beneath the surface. The box office sensation that is ‘Polis Evo’ is the best news of the calendar year. The film shot ahead of the curve to become the highest grossing Malaysian film of all time, with RM17.4 million. It went further than producer Astro Shaw’s very own ‘The Journey’, released only the year before, by RM300,000. This is not an exact science, but given that this film had only 44 screens when first released, it suggested humbler expectations to begin with. After all, this was nearly half of the 84 screens for ‘Villa Nabila’. More screens means more ‘prints’ required for more halls, necessitating a higher distribution cost. Even ‘Sinaran’, the 13th lowest-grossing film with RM21,310, edged ahead with 45 screens. As such, the Ghaz Abu Bakar-directed flick did incredibly well to capture a per-screen average of nearly RM400,000. This is where ‘The Journey’ lagged behind, gaining a touch over RM300,000 per screen. Beyond the king of the hill, though, development elsewhere is arrested. ‘My Papa Rich’ collected a heavy ang pow of over RM3 million, cashing in on Chinese New Year, but no other film prospered enough to make the same fortune. ‘Suamiku Encik Perfect 10’ came close with RM2.986 million, and the aforementioned ‘Villa Nabila’ scared up RM2.8 million. However, after the RM2.5 million of ‘Cicakman 3’, the next film down the line was nearly a million further back, as ‘Pilot Café’ flew low with RM1.6 million. Compared with the previous year, the contrast could not be starker. 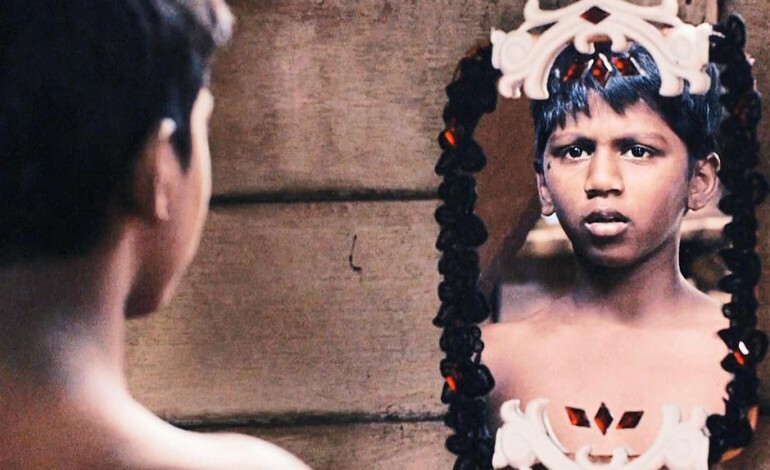 60 films made less than RM500,000, which was an ‘improvement’ over the 45 films in 2014. By the same token, the number of films that made RM2 million and above increased by 20%, which is good. What is less good, though, is the performance of the midfield runners. Only one film made between RM1.5 million and RM2 million, compared 2014’s five. Going one category lower, 2014 also saw 13 films that made more than RM1 million without reaching the RM1.5 million mark. Last year? That number dropped 85%, with only two films in that bracket (step forward ‘Jwanita’ and ‘Juvana 2’). At the bottom of the barrel, the numbers did not get any easier to look at. In 2014, the lowest-grossing film was ‘Khaitin Agarathi’ with RM3,132, not even enough for a single arts subject at Monash University. The upside was that it was also the only film that didn’t make five figures; that number shot up to six in 2015. Speaking of which, six of the bottom seven are Malaysian Tamil films, with ‘Muthukumar Wanted’ left unwanted at the lowest rung. ‘Jagat’ may be the cause celebre at the moment (its per-screen average of RM5,731 is besting the heavily-backed ‘Gangster Rock Kasi Sengat’, and is a Lust night out away from ‘Usop Wilcha Dalam Werewolf Dari Bangladesh’), but it is not the highest grossing film (yet?) of this sub-cinema. That honour is bestowed upon ‘Vere Vazhi Ille’, RM220,208 placing it a few places higher than ‘Sunti @ Facebook’ and the Mangkin Prestij pair of ‘Abang Lejen’ and ‘Isteri Untuk Dijual’. With regards to Mangkin Prestij, it was the most productive production company of the year with six films. Even its fellow Metrowealth International Group member, MiG Pictures, trailed with four films, bringing in RM2.4 million. Combining their numbers together means MiG head honcho David Teo made RM4.5 million spread out over 10 films. 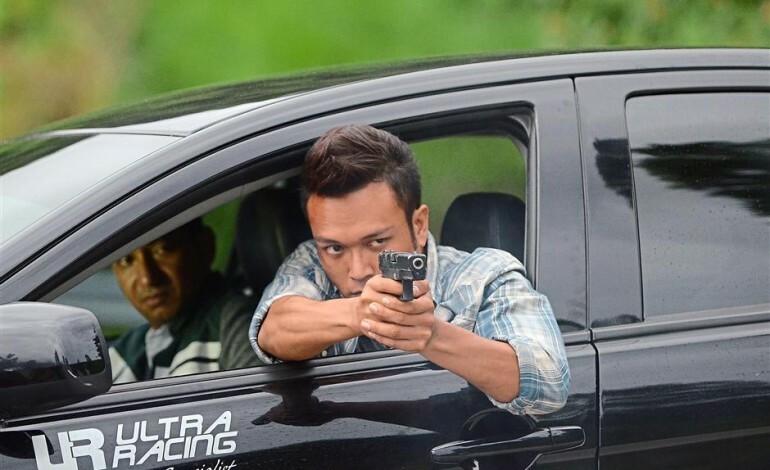 That per-film average of RM450,000 placed it outside of the top 10 behind Mahu Pictures, whose films ‘Paint My Love’ and ‘Kepong Gangster 2’ both brought in just under RM1 million. This scattergun approach is not all that different from 2014. Back then, Mangkin Prestij and MiG Pictures combined for slightly over RM9 million from 14 films. The difference here is that four of them made between RM1 million and RM2 million. That’s one more than all the films in the same range for 2015. Somewhat predictably, Astro Shaw stands alone at the top with another outlier-driven success. Striking more times than lightning, it would have been the top-grossing company even without ‘Polis Evo’. ‘Suamiku Encik Perfect 10’ and ‘Pilot Café’ copped RM4.6 million, placing it ahead of Mangkin/MiG and Skop Productions (which co-produced ‘Villa Nabila’ with Viper Studios). Kudos must also be given to Filmscape: though they produced the same number of films as the year before (one), ‘Juvana 2’ more than trebled their 2014 collection of RM357,079 to over RM1.2 million. In the end, such rays of sunshine could not mask the greater clouds hovering above Malaysian cinema. It’s clear that while Astro Shaw towered over everyone else, most of the runner-ups remain also-rans in its shadow, unable to even keep up on the same lap. The overall figure of RM51.7 million is the lowest this decade, barely 70% of 2014’s numbers; you’d have to go to 2009 for a smaller annual total. That same percentage applies to the mean average collection, dropping from RM922,690 to RM654,622 per film. Such empiricity does not tell the whole story, of course. Even Dickens also wrote of springs of hope in winters of despair. National cinemas all over the world face many different challenges, and Malaysia is no different. Things may well improve in 2016, but while the best has every chance of getting even better, the spring in their step leaves everyone else despairing in their wake, further increasing the gap between the haves and the have-nots. Click here to listen to Fikri and Muz discuss the 2014 Malaysian box office.